No. 10 John Bromwich (Won 1939 and 1946 – RU 1937, 1938, 1947, 1948, 1949 ) 7 Finals, 2 Wins. 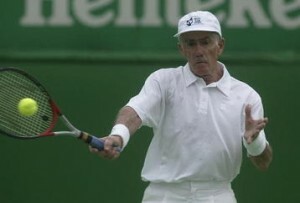 Another of the great Ausssie's to play the game, John Bromwich won in singles and doubles. Born in Sydney, John Bromwich was an innovator who helped usher in the two-handed forehand. Primarily a doubles player, Bromwich could also obviously hold his own on the singles court. He won his first Australian Open in 1939, defeating fellow Aussie Adrian Quist 6-4, 6-1, 6-3. After the war in 1946, Bromwich again captured the Australian Open title over fellow Aussie Dinny Pails 5-7, 6-3, 7-5, 3-6, 6-2. It was a hard-fought contest. Bromwich was also runner up five times in 1937, 1938, 1947, 1948 and 1949. 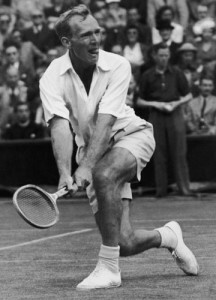 In 1937 Bromwich fell to his doubles partner Vivian McGrath and in 1938 to American Don Budge. In 1947 Bromwich lost to Dinny Pails, in 1948 to Adrian Quist and in 1949, he lost to fellow Aussie Frank Sedgman. In all, Bromwich appeared in seven Australian Championship finals, winning twice. No. 9 James Anderson (Won 1922, 1924, 1925) – 3 Finals, 3 Wins. 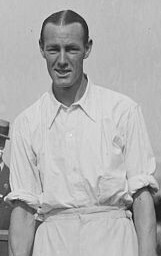 James Anderson won three Australian Open titles in the 1920s. Australian James Anderson won the Australian Open three times in the 1920s when the tournament was titled the Australasian Championships––back in the days when not many players traveled down under to participate. Between 1919 and 1925 Anderson played in 15 Davis Cup ties for Australia and was well-known on the tennis circuit. In 1922, Anderson defeated Aussie Gerald Patterson 6-0, 3-6, 3-6, 6-3, 6-2. In 1924, he defeated Richard Schlesinger also from Australia 6-3, 3-6, 3-6, 6-3, 6-2. Finally in 1925, Anderson upended Patterson again 11-9, 2-6, 6-2, 6-3. In 1927, the tournament name changed to the Australian Championships. Ken Rosewall is still active as a tennis legend.In looking back at the great players of the past, I often can’t help but wonder how they’d perform in the modern game. It might not have been as lucrative to be a pro tennis player in Ken Rosewall’s day, but there were other advantages. For though it was a physically demanding sport even then, one didn’t necessarily have to be over six feet tall and ripped. While the modern men’s game has had only two major champions—the single slam winners Michael Chang and Gaston Gaudio—under 5’10”, Rosewall was actually under today’s average international height for males at 5’7″. And while fitness has long been demanded of its players, Rosewall played in a day when a build like Rafael Nadal’s was unthinkable. Rosewall, actually, would acquire the nickname “Muscles” on the tennis court, but it was ironic moniker: The 145-pound Australian was given the name because muscles were something he didn’t have in abundance. But Nadal and Rosewall do share kinship in one respect: The close relatives who taught them how to play the game instructed them to do so with their non-dominant arm. Toni Nadal’s decision to teach his nephew to play lefty has proven beneficial, as many a right-handed opponent has struggled to retrieve his high-bouncing shots to their backhands.